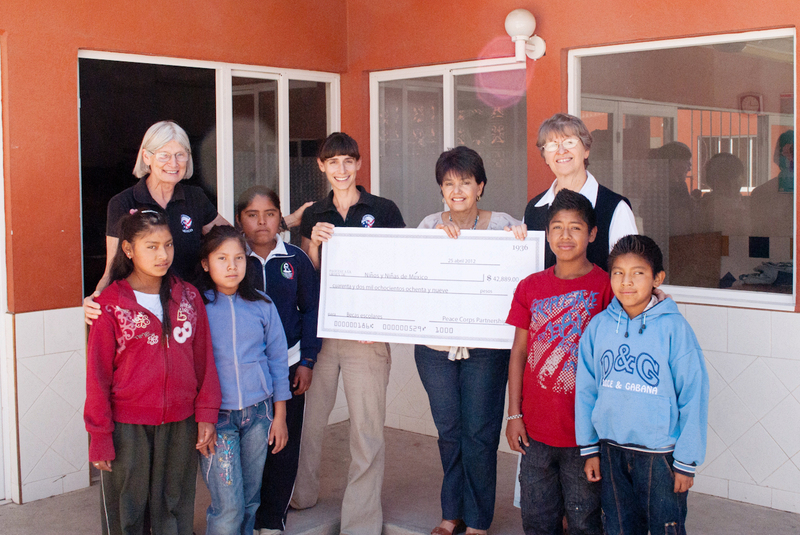 UPDATE: As of March 28, 2012, the grant is ful­ly fund­ed! Thank you to every­one who donat­ed. If you still want to help in some way or learn more about this infor­ma­tion, please con­tact me. We are rais­ing mon­ey to fund the schol­ar­ships for the 96 chil­dren and youth that are sup­port­ed by the orga­ni­za­tion. The mon­ey raised will go direct­ly to the fam­i­lies in the form of inscrip­tion fee reim­burse­ments. The fam­i­lies pay the inscrip­tion, or reg­is­tra­tion, fees and then bring the receipts to orga­ni­za­tion for reim­burse­ment. 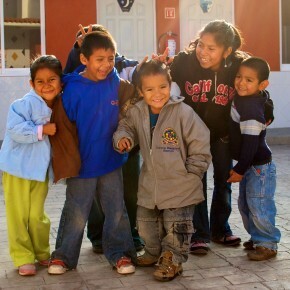 Niños y Niñas is legal­ly con­sti­tut­ed as a non-prof­it civ­il asso­ci­a­tion, which start­ed oper­a­tions in Queré­taro in 1998. It has pro­grams in social pro­mo­tion, health, edu­ca­tion, and insti­tu­tion­al devel­op­ment. In the more than 12 years of work done by the asso­ci­a­tion, it has served hun­dreds of chil­dren and their fam­i­lies though its var­i­ous pro­grams. Achieve­ments include: 100% of chil­dren are enrolled in offi­cial edu­ca­tion pro­grams; 100% of chil­dren keep on track for their offi­cial vac­ci­na­tions; and the health of the chil­dren is oth­er­wise tracked and enhanced by pro­vid­ing sup­ple­men­tal nutri­tion. Niños y Niñas sup­port an aver­age of 35 med­ical vis­its per month, and moth­ers are trained in work­shops — some, such as the Sister’s Stitch­ing Work­shop, are espe­cial­ly orga­nized to replace the income for­mal­ly earned by the chil­dren work­ing in the streets. 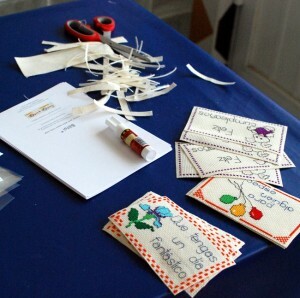 The Sister’s Stitch­ing Work­shop is one of my secondary/community activ­i­ties that I have writ­ten about in the past, where the women embroi­der designs that Micha and I help assem­ble into greet­ing cards, book­marks, and a vari­ety of sea­son­al items. It is a won­der­ful orga­ni­za­tion that we can help. For between $34 to $130 you can help send a child to ele­men­tary school or a youth to high school for one semes­ter, and you can donate more, of course. 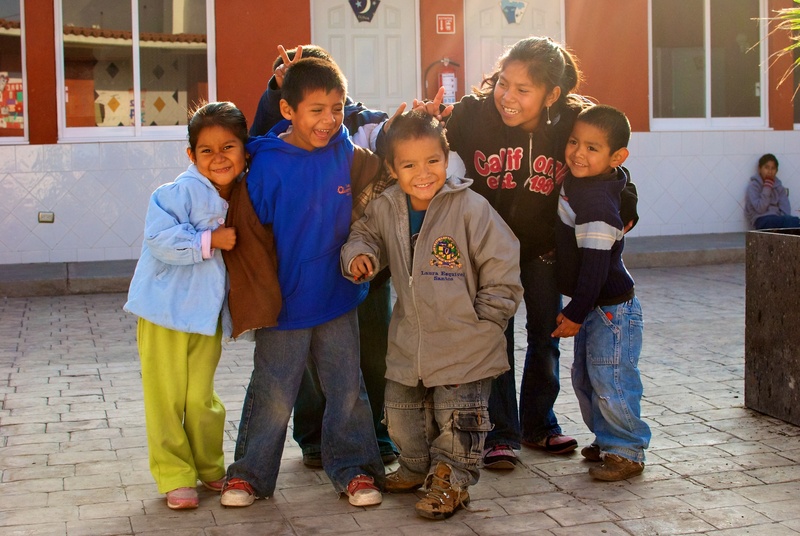 Your dona­tion is tax-deductible, and 100% of your con­tri­bu­tion not only goes to the project, but also direct­ly to the schol­ar­ship funds. 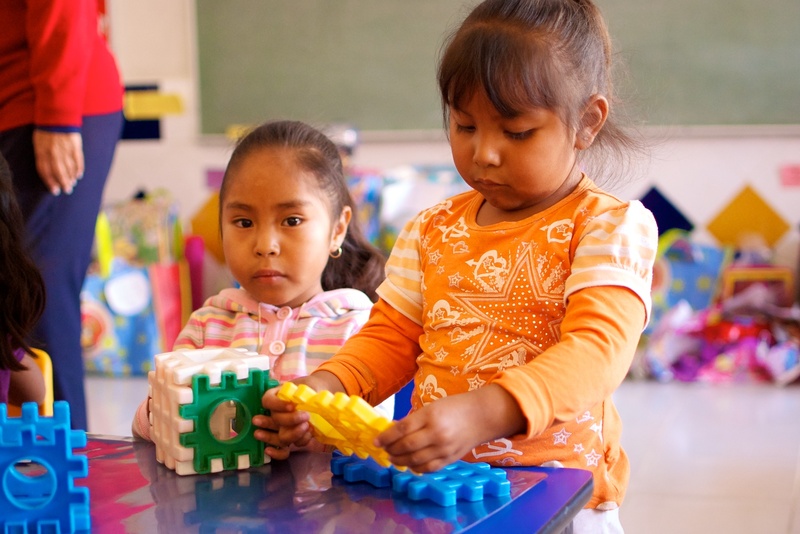 The Niños y Niñas orga­ni­za­tion takes no funds for over­head, and pro­vides all infra­struc­ture and account­ing for the pro­gram. Write me a com­ment or an email if you want addi­tion­al infor­ma­tion or have any ques­tions.